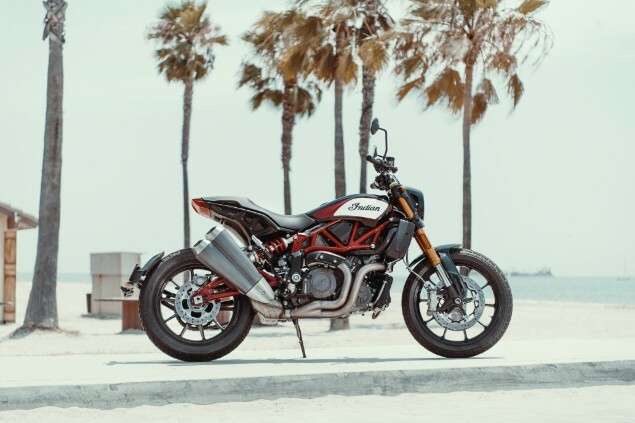 American manufacturer Indian has, at last, shown the finished version of the FTR1200 which is a bike that has been teased for more than a year. The bike was one of the biggest stars of the recent Cologne motorcycle show in Germany and, as promised by Indian, remains extremely close to the concept bike shown a year ago. 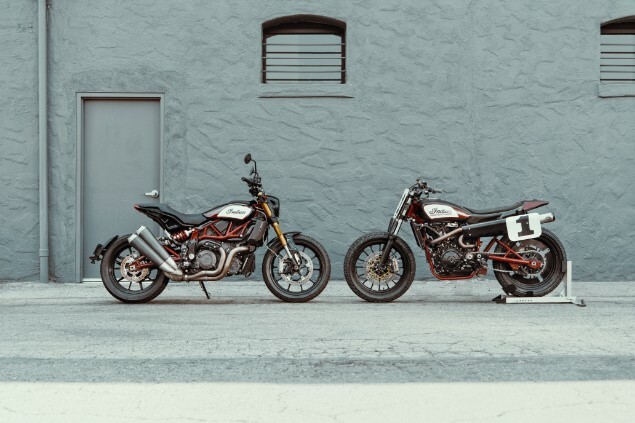 There are actually two versions of the FTR1200. A standard model and the higher-specification FTR1200S which gets a host of upgrades over the standard bike. 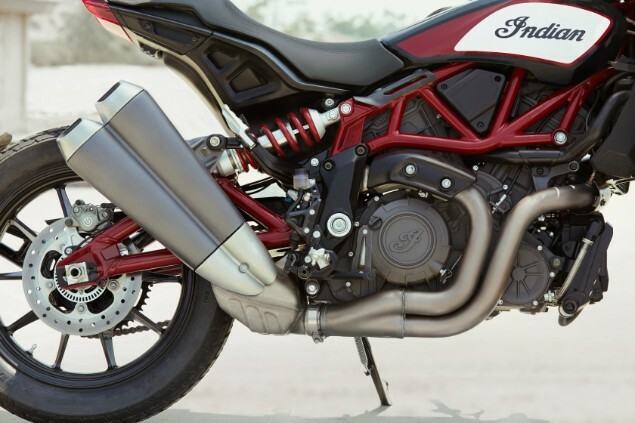 Both models are based on the same engine and chassis with an all-new 1203cc liquid-cooled V-twin quoted as producing 120bhp and 115Nm of torque. The engine has been designed to produce a nice, smooth torque curve rather than outright power. The engine has been built with a significant amount of magnesium making up engine components and this has been done to reduce the overall weight of the bike as magnesium is much lighter than other metals more commonly used in engine case castings. The new FTR1200 is aimed at creating a road bike based on the styling of the FTR750 flatttrack bike Indian races in the AMA Flattrack series. The chassis of the bike is a steel trellis design and has been aimed at giving a far sportier handling balance than the cruisers, bobbers and touring bikes we have seen from Indian in the modern era. The chassis works with upside down front suspension forks and Brembo brake for high braking performance and the location of the fuel tank under the rider’s seat helps keep the centre of gravity lower for more centralised weight distribution and better handling. 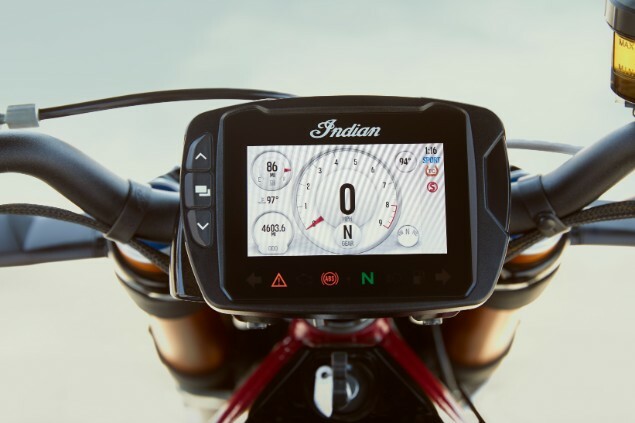 Both the standard and ‘S’ model get full LED lighting, fast-charging USB port to connect mobile devices and also cruise control and they have a new Dunlop tyre that has been specifically designed look like a flattrack competition tyre but still work on the road. How is the FTR1200S model different? The FR1200 range will be available in three different colours and a choice of power outputs and can even be restricted from 90kW to 70kW and then even further to 35kW to comply with A2 licence regulations. The three colours available are black, red/grey and a race replica paintscheme that matches the FTR750 racing machine. It’s expected the bikes will be made available in the first half of 2019. Rich Christoph, the Indian Motorcycle Senior Designer said: “This is an extremely exciting platform for us, and after investing such a significant amount of time, expertise and energy in the design process, it’s an incredible feeling to finally show the world these motorcycles. “Our primary focus was to ensure these motorcycles carried the same lines and form language as the FTR750 and 1200 Custom.